I would like to know if Netscan supports substituting a numbered group on regex, or substitution of elements or replacement patterns? The latest release didn't support regex replacement, but you are making a good point here. 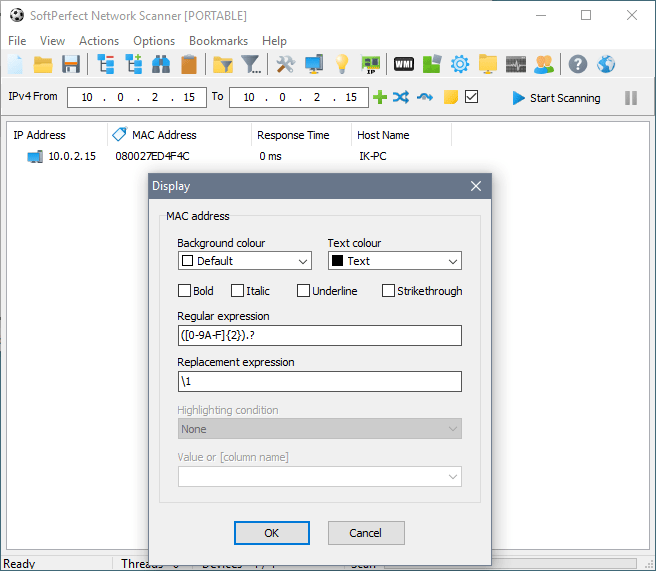 We've just added replacement expression support in version 7.1.9 which can be downloaded from the Network Scanner home page.